Olam International’s announcement of its acquisition of Archer Daniels Midlands (ADM), an American conglomerate’s, cocoa business in late 2014 for US$1.2 billion, Olam’s largest ever acquisition, must have caught many observers by surprise. For a company that started its operations in Nigeria in 1989, originally to export cashew nuts from Nigeria to India, the ascendance of Olam to the top of the cocoa origination and processing line with the buying out of ADM’s stake in the lucrative cocoa business seemed extraordinary. Not many African-based businesses in the agro, food and beverage industry have managed such a feat. With operations in all the continents of the World, from Brazil, Russia, Nigeria, Tanzania, India and Australia more than 60 other countries from its base in Singapore, and with global leadership positions in a number of food commodities such as nuts, cocoa, spices and vegetable ingredients, coffee and rice, Olam has spread its tentacles from its early days as a grains trader into the food processing business in Africa over the last few years that provides a glimpse into the company’s strategic plans for the future. With its acquisition strategy executed through a buy-streamline-grow process, Olam focused on Western Africa to begin its foray into Africa, with Nigeria, Africa’s most populous and number two economy, being the first port of call to lay down its strategy. The company has identified the grains sector as one of the six prioritised platforms for investment and accelerated growth. “We have in the recent past outlined our strategy to build a configuration of port-based wheat milling facilities in Africa. Nigeria, being one of the largest wheat importing countries in the world, is our priority anchor market for executing this strategy,” KC Suresh, the current Managing Director and CEO of Olam Grains business, said during the acquisition of Crown Flour Mills (CFM), which Olam acquired in 2010, making its first foray into the flour milling business in sub-Saharan Africa. According to Suresh, Nigeria is a high growth milling market with volumes expected to reach five million metric tonnes in 2020 due to population growth and urbanisation that will increase the demand for wheat-based products. The size of the Nigerian flour market is over US$2 billion, growing at 3.5% per year and the pasta market is expected to grow at 8.0% per year according to Olam. It is this market that Olam is investing in, with a focus on the future. The acquisition of CFM was significant in the company’s quest to expand its scope into the packaged food industry. The US$107.6 million deal for the number three miller and processor of bread flour, noodle flour, semolina and noodles in Nigeria gave Olam access to two port-based wheat milling facilities in Lagos and Warri with total installed capacity of 1,550 metric tonnes per day (TPD). “With more than 40 countries in Sub-Saharan Africa to choose from, we prioritised locations for wheat milling based on a wide range of market factors. 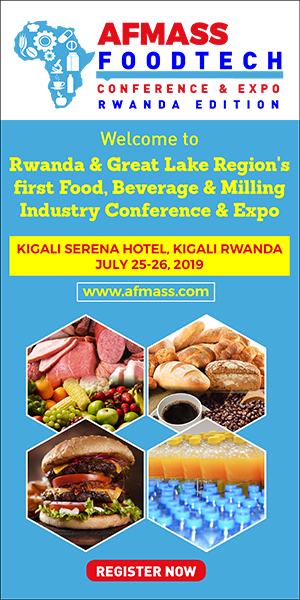 These include market structure and size of the market, population, demographics, level of urbanisation, government policies, and the level of development of the food sector, including downstream business. Nigeria, as the most populous country in Africa and the largest wheat importer in Sub-Saharan Africa, was a natural place to begin our milling journey,” says Saurabh Mehra, Senior Vice President & Global Head, Milling, Olam Grains. The company has since the 2010 deal built the business to become the second largest miller in Nigeria, expanding the capacity of the CFM facilities further in 2013, increasing its Nigerian milling capacity from the original 480,000 MT per annum by 50% to 720,000 MT per annum. To consolidate its position in the country, Olam announced another significant acquisition in the milling sector. 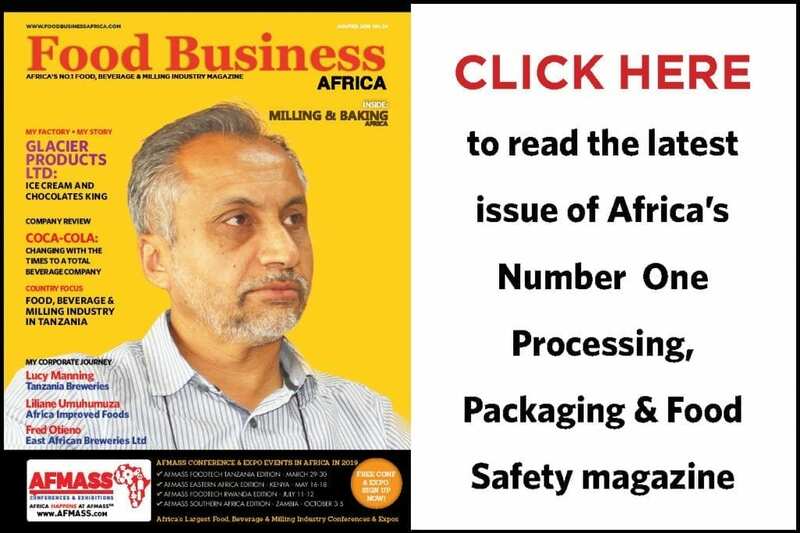 The US$275 million acquisition of the milling and pasta manufacturing assets of the BUA Group in late 2015 through the purchase of Amber Foods Limited, more than doubled Olam’s milling capacity in West Africa from just 1m tonnes to over 2.15 million tonnes per annum, increasing the miller’s total capacity in Africa to 7640 TPD. Amber Foods, one of the top five millers in the country, had an installed capacity of 3,760 and 700 metric TPD, respectively for wheat milling and pasta processing at the time of acquisition by Olam, increasing the company’s wheat milling capacity to 6140 TPD from 2380 TPD. The company acquired a number of assets during this deal: two wheat mills and a pasta manufacturing facility in Lagos, a non-operating mill in Kano in the Northern part of Nigeria, and a wheat mill and a pasta manufacturing plant which was under construction during the acquisition in Port Harcourt, southeast Nigeria. This deal also consolidated Olam’s position as a leading pasta manufacturer in Nigeria. “Wheat-based products, such as pasta, have grown in popularity among Nigerians due to changing tastes, the gradual rise of convenience and, for many, as an affordable option to meet carbohydrate requirements,” said Anurag Shukla, managing director of Crown Flour Mills. With a plan to grow and consolidate its investments near major ports in the region, Olam has since invested beyond Nigeria, with the miller getting into green field milling operations in Ghana in 2012, Senegal in 2014 and in Cameroon in 2015, with each of the mills having an annual capacity of 150,000 MT. The three countries, major economies in their own right in West Africa, are critical in Olam’s future plans for the region, as it also expands beyond its grain trading business into milling and into other value added products. “These three countries have similar market characteristics – 500,000 MT of wheat imports, oligopolistic structure and surrounded by countries that do not have a robust milling industry. We view each of these operations as a regional milling hub, focused not only on supplying the in-country consumers, but also the neighbouring countries like Benin and Togo (from Ghana), Chad and Central African Republic (from Cameroon) and Mali and Guinea Conakry (from Senegal). Such a market cluster approach allows us to play with significantly better economies of scale and achieve full utilisation at a faster pace,” explains Suresh. Olam’s strategy of grabbing the wheat milling industry in the four countries is driven by a number of key considerations: vibrant and fast growing demand, rapid rise in urbanization and population and rising incomes. Nigeria, the continent’s most populated country offers mouth watering prospects with its over 160 million people and low wheat flour consumption of just 16.9 kg per capita, compared with say, South Africa which consumers over 60 kg per capita, offering not just more mouths to feed into the future, but also vast opportunities to increase the consumption of wheat flour at every household. The other countries’ per capita consumption of wheat is still also low, with Ghana (11.4 kg per capita), Senegal (19.2 kg per capita) and Cameroon (18.6 per capita) according to Olam. The four target countries with a total of 221 million, and rising urbanization, which currently hovers about 50%, except for Cameroon, which has 61% of its population already living in urban areas, indicate that Olam’s focus on the region will not be in vain. With a projected growth in wheat flour demand over the 2013-18 period of 3.9% in Nigeria, 5.5% in Ghana, 5.8% in Senegal and 5.4% in Cameroon, the region offers a high growth prospect for Olam. Since entering the wheat milling industry through the Crown Flour Mills acquisition in 2010, Olam has continued to add extra capacity, with each year the miller adding a minimum of an extra 150,000 MT per annum through the above green field investments, acquisitions and also critically expansion projects in Nigeria in 2013 which added an extra 150,000 MT per annum. According to Olam, it’s set to double its Ghana capacity to 300,000 MT per annum through an expansion project. To succeed in West Africa, Olam has leveraged on its origination and global wheat sourcing and freight management capabilities, relying on its strong footprint in the distribution of food staples such as rice, sugar, dairy and packaged foods to extract synergies from customer, channel and cost sharing. Challenges in operating in the region still exist, with access to foreign exchange and poor port infrastructure standing in the way of Olam to deliver its promise. Its global scale and access to forex, working capital, efficient ocean transportation and port land to build mills and storage has been critical to the miller’s operational success. With massive scale of the operations, with the miller targeting to process 2.3 million MT per annum in 2017, and most of the wheat imported into the countries of operation, Olam has its work cut out. 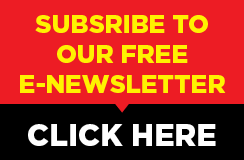 “Our global Grains franchise has addressed and overcome these barriers to entry. Our wheat milling strategy is differentiated by the fact that we source and export wheat from major producing regions such as North and South America, Europe and Australia into importing countries in Africa and the Middle East, as well as managing all the risks across the entire supply chain. Through our global network we source wheat from different origins and generate efficient blends for producing flour. Within that supply chain we have also optimised our cost of carry by developing new capabilities in chartering bulk vessels. Our ability to manage larger vessels supports our growing volumes and helps reduce our overall cost of freight,” says Suresh. At the operational level strong execution on the ground has been crucial to Olam’s success in the region. “Running and building better, more efficient plants has been Olam’s key differentiator. Our mills, including our oldest mill which is 30 years’ old, are world-class and produce quality products at a lower cost compared to the rest of the industry,” adds Suresh. 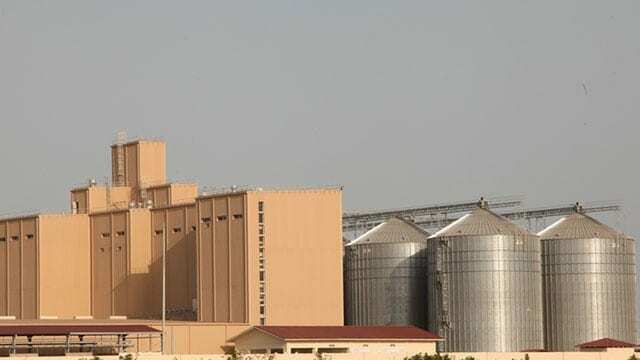 The company has overhauled and boosted the performance of the Crown Flour Mills and the Amber plants ‘to improve downtime, capacity and quality of output’, with the installation of standard processes including SAP to standardize operations in the four countries. To take advantage of its sourcing and trading operations around the World, Olam has extended its packaged foods manufacturing operations into the tomato, dairy, edible oils, rice and biscuits in the region. In the tomato paste business, a US$500 million business potential in Nigeria, the company launched Tasty Tom, De Rica and Festin brands of tomato sauce that are also available in several west African countries. In the biscuits segment, the company has recently commissioned an expanded factory with the addition of a third production line at its Nutrifoods Ghana plant, jointly owned by Olam (75%) and Sanyo Foods of Japan (25%). With a market share of 30% in the important Ghanaian market, the company could use the experience in the country to grow its influence in the segment beyond Ghana. In the edible oil sector, Olam sells its Tasty Tom and Festin brands in several countries. As one of the top five biggest dairy ingredients suppliers in the world, in West Africa, Olam is not only a supplier but has also has branded consumer products in several countries in the region. In the rice segment, Olam is a major grower and processor of rice in Nigeria, with capacity of 800,000 MT per year. It is developing a 10,000-hectare rice farm and mill in Nasarawa state, Nigeria. In the animal feed sector, Olam is taking advantage of a rising demand for animal feed, announcing an investment of US$150 million in two feed mills, poultry farms and a hatchery in two states – Kaduna and Kwara. The two integrated poultry and fish feed plants have a combined capacity of 600,000 according to Olam.